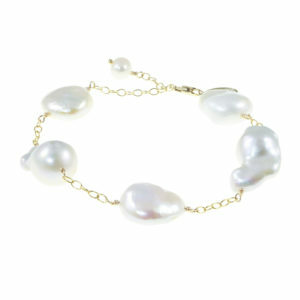 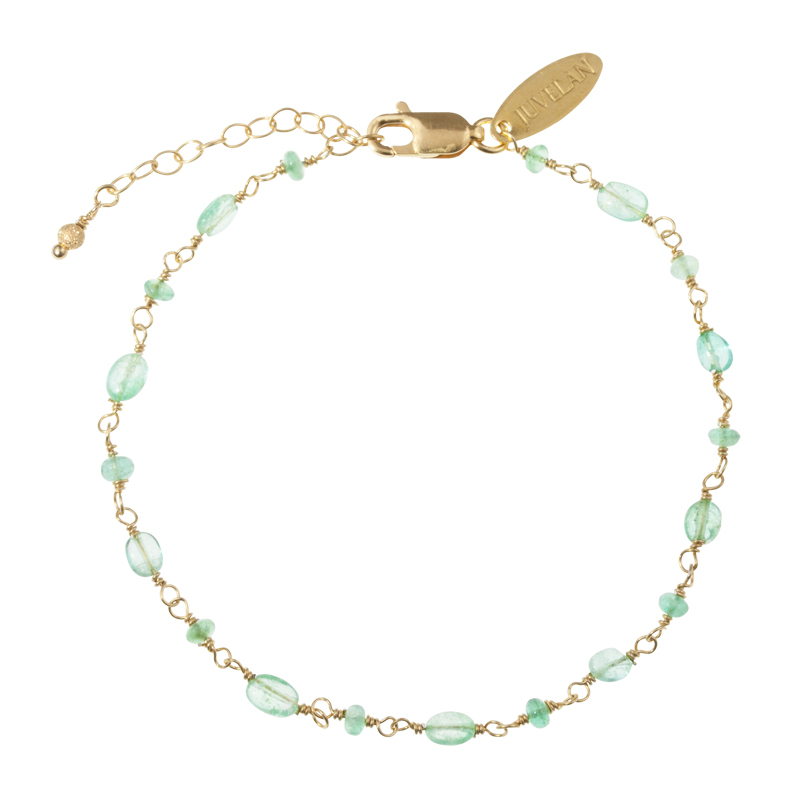 This bracelet will look beautiful on your skin and make you feel like the sun always shines, even when it’s cloudy. 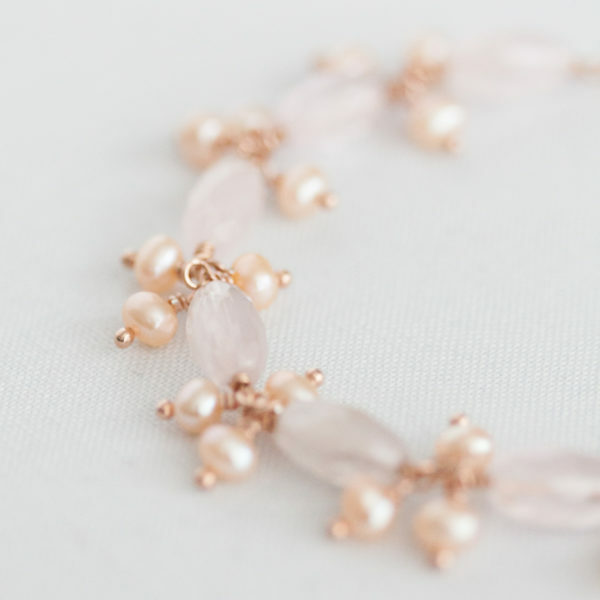 The colour palette is a mix of different blush toned materials. 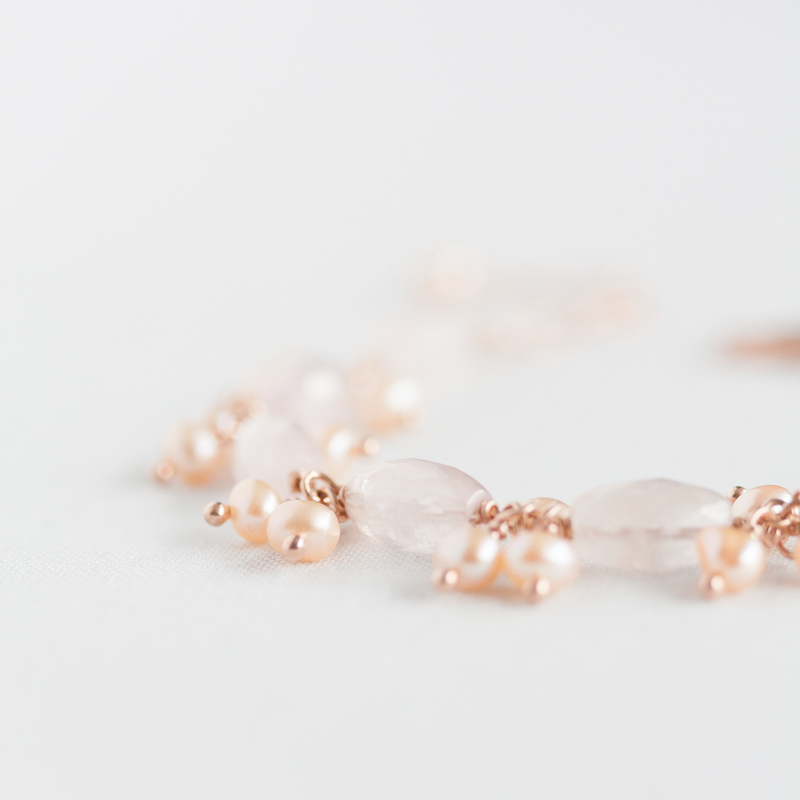 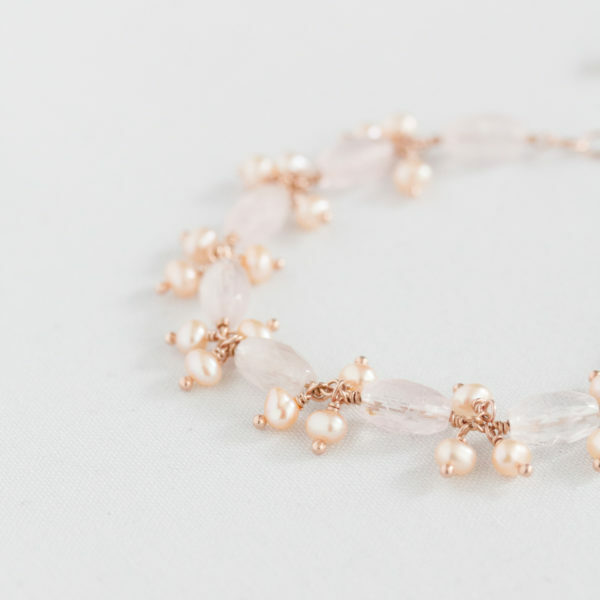 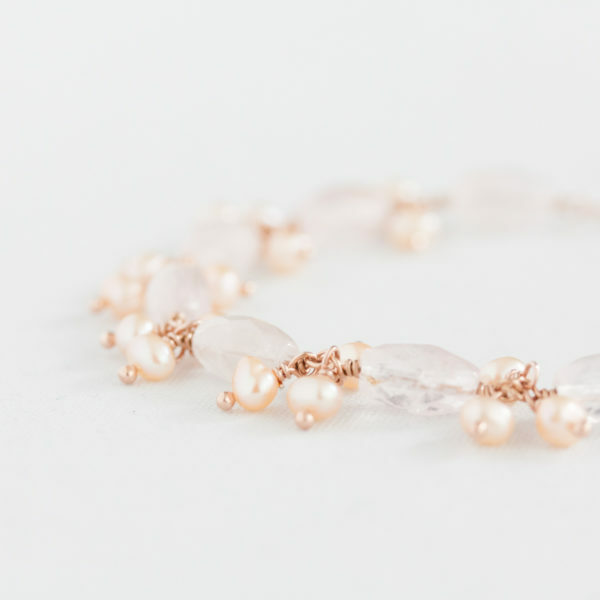 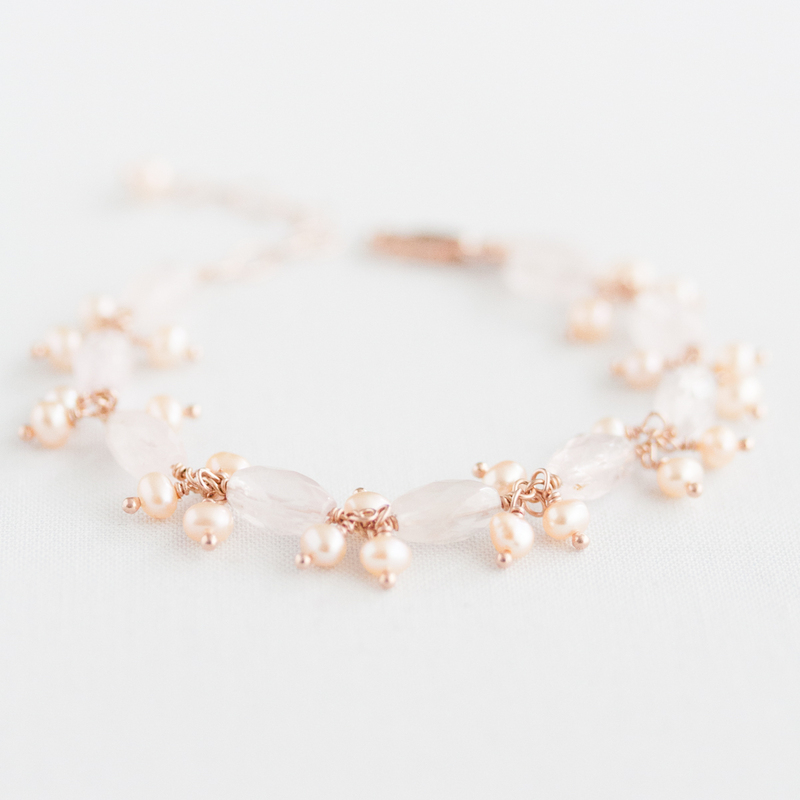 The main gemstone is a very soft rose quartz, combined with little peach coloured freshwater pearls, and made paired up with 14carat Rose gold plated Sterling Silver.